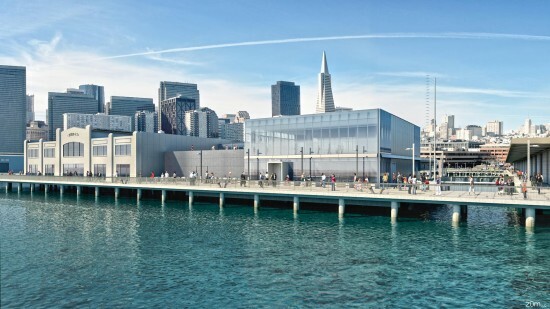 Located in the city’s most popular neighborhood, Hyatt Fisherman’s Wharf has teamed up with the San Francisco Municipal Transportation Agency (SFMTA) to offer visitors a value-oriented Explore San Francisco Package in celebration of the ExplOratorium’s new museum location at nearby Pier 15. The Explore San Francisco Package includes accommodations at the Hyatt Fisherman’s Wharf along with two SFMTA passports, which provide unlimited daily use on any one or all of San Francisco’s public transportation vehicles, including the iconic cable cars, historic streetcars, busses, trolleys and any of the other convenient SFMTA modes of transportation. Package rates start at $189. Guests of the Hyatt Fisherman’s Wharf can use the aforementioned passports to ride the historic trolley to the ExplOratorium’s new, convenient location or take a nice stroll along the Waterfront to Pier 15. For more information and reservations, please call (415) 563-1234 or visit http://fishermanswharf.hyatt.com. A global leader in informal learning, The ExplOratorium is the prototype for experimental, participatory museums around the world. Called “the best science museum in the world,” by Scientific American, it is a scientific funhouse, art studio and an experimental laboratory all rolled into one. The ExplOratrium is relocating to Pier 15 on the Embarcadero and will be opened to the public on April 17, 2013.